We usually imagine leaves from trees turning into autumn colours when we read this quote by Elizabeth Lawrence. But today, I'm thinking more about pages in a good book turning leaf by leaf through a fascinating novel, a cozy mystery, or something inspirational from a favourite non-fiction author. Around here, autumn has truly settled in. So far, it's still sunny and warm during the day, but we now don a sweater if we plan to wander through streets lined with yellow topped trees in the fading light of an evening. And, thoughts turn homeward where we think of cozy nooks, mulled ciders, lamps aglow on table tops, woolly shawls ... and books. Piles and piles of books. On bedside tables, by the fireplace, around comfy wingback chairs. A dear blogging friend recently emailed me asking if I would share a list of my favourite autumn books. Although I'm not up on the latest novels and stories these days, I decided to share a list of my long-time favourites ... the books I tend to reach for this time of year when evenings grow dark. It didn't take long to gather a small pile on the floor by my desk and create a short list. Today I'm linking up with Amy for Five on Friday and so I'm sharing five titles for cozy autumn reading. Hopefully there might be one in the list that you haven't read before or that you'll feel inspired to find your own copy and read all over again. This book is listed as a cookbook, but in true Susan Branch style, Autumn is so much more. Alongside Susan's yummy recipes, like Ginger Crisps and Butternut Squash Soup, these pages are chock full of seasonal art and crafts, cheerful quotes, and leafy sketches, not to mention Susan's little stories that make us feel cozy and warm. Last year, I made her star pumpkin lanterns which made for a fun afternoon in time to hand out candy to children at the door. If you love everything Autumn, then this book is a must for your library! Opening Lines: A quote from Gladys Taber ... "We are in for a spell of perfect weather now, every day luminous, every night brimmed with stars. Picnics at noon, supper by the applewood fire at night, a walk in the cool moonlight before bed." 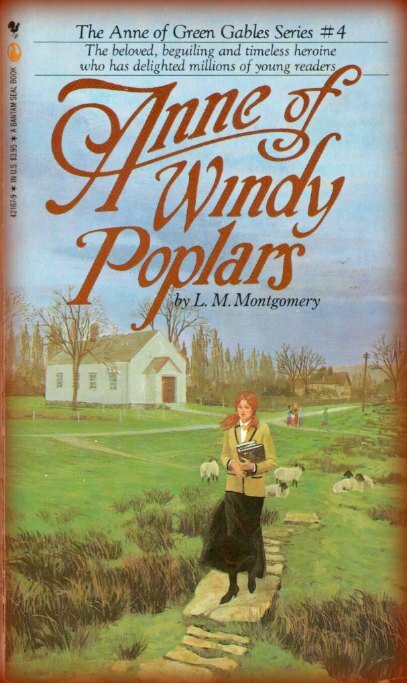 Anne of Windy Poplars is the fourth book in the Anne of Green Gables series written by Canadian author L.M. Montgomery. If you haven't read the earlier Anne books, I highly recommend reading those first -- they make for cozy reading too. However, it's enough of a stand alone story that a reader could enjoy this book even if you haven't read them. I love to read this story in the Fall -- the novel opens in September where Anne Shirley, now a teacher living away from Green Gables somewhere else on Prince Edward Island, Canada, unfolds her new life in letters addressed to her now-fiance, Gilbert Blythe. She writes from her cozy little room where shadows play in corners, lamps send out their comforting glow on a dark evening, and contented kitty-cats purr away in some warm spot. Opening Lines: A letter from Anne Shirley to Gilbert Blythe. Address is Windy Poplars, Spook's Lane, S'side, P.E.I., dated Monday, September 12th. "Dearest, Isn't that an address! Did you ever hear anything so delicious? Windy Poplars is the name of my new home and I love it. I also love Spook's Lane, which has no legal existence. It should be Trent Street but it is never called Trent Street except on the rare occasions ... I have already asked Rebecca Drew about it, but all she can say is that it has always been Spook's Lane and there was some old yarn years ago about its being haunted. But she has never seen anything worse-looking than herself in it." If you are Victoria magazine fan, you'll no doubt recall Nancy Lindemeyer was the magazine's wonderful founding editor. In an old September issue (1995), she tells her readers of a running conversation she once had with her son about the seasons of the year. His favourite season was spring, hers was fall. He asked, "How can you like misty mornings and falling leaves instead of clear spring mornings and trees in fresh green?" Her answer was always the same ... she is a romantic, and as a romantic, she loved rainy days and fall afternoons because they gave her time to reflect. I totally understand that, don't you? You may also remember that Ms. Lindemeyer contributed a column in the magazine's early years under the name Jenny Walton. Packing for A Woman's Journey is a selection of those pieces, in which she recalls memories of the large Victorian home of her Connecticut childhood, a knitting club with high school chums, and her grandmother's homespun wisdom and skills. As one review put it, these essays muse on the activities and sentiments traditionally associated with domesticity, or, as Lindemeyer puts it, "the beauty of a woman's life through the artfulness of the things she has gathered about her." Even though this lovely little book isn't 'autumnal' per se, you'll sense its warmth and loveliness in every page which makes it a perfect read for this time of year. Lines From the Foreword: "My girlhood was not unlike that of many others of my time, nor, really of today. Our clothes are different; but being cared for, accepting that care, and all the while learning what love is about -- these are timeless. But there are ways in which my growing up was unusual, not to mention unique." This is one of my top favourite Agatha Christie novels. It's a day in November when Miss Jane Marple comes up from the country for a holiday in London. 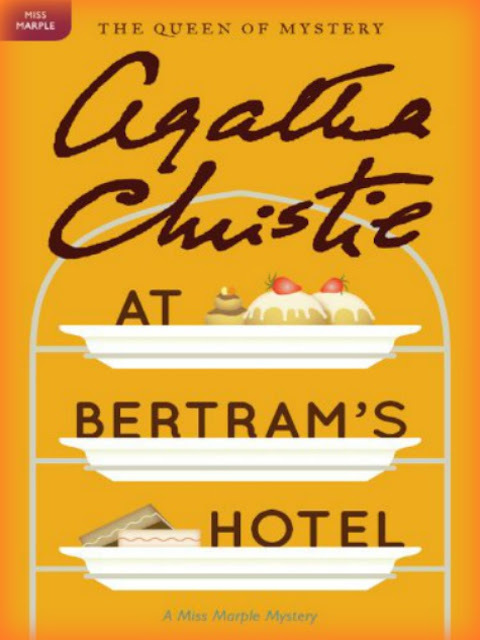 She finds that Bertram's, though now a restored London hotel with traditional decor and impeccable service, is just as she remembers it when she visited as a girl. Beneath the clatter of china teacups and the happy chatter with old acquaintances over hot buttered scones and real seedcake, there lurks an unmistakable atmosphere of danger. It's time to pour yourself a cup of tea and sink into this mystery as Miss Marple knits away by the fireside in the hotel's comfortable lobby. Essential Ingredients became an instant top favourite for all time ... and maybe eternity too. Truly! From the first word to the last, I was drawn in and captivated by this memorable story, its characters, and its sensual, inviting ambience. Exquisitely written, this book creates a perfect recipe for escaping from life's stresses. Once a month, eight students gather in Lillian's restaurant kitchen for a cooking class. They come with different reasons for taking the class. One by one, they are transformed by the aromas, flavors, and textures of what they create. This reader was transformed too. The first time I read the book, I read as slowly as I could, savouring every word, every scene, every page. And when I finally got to the last word in the book, I went back to the first page and started over ... this time reading it aloud to my husband over the next few days. He was as captivated -- the story, so rich in sensual descriptions, made us feel so alive to our own five senses. See... don't you just want to keep reading? Go, find that book. I can't imagine you'll be disappointed one tiny bit! I started this post earlier in the day, and now that I'm wrapping it up to sign off, I see outside my window the warm, sunny day with blue skies has transformed into a blustering, wildly overcast evening. Where's my sweater? We'd love to hear about your own recommendations for cozy fall reading. 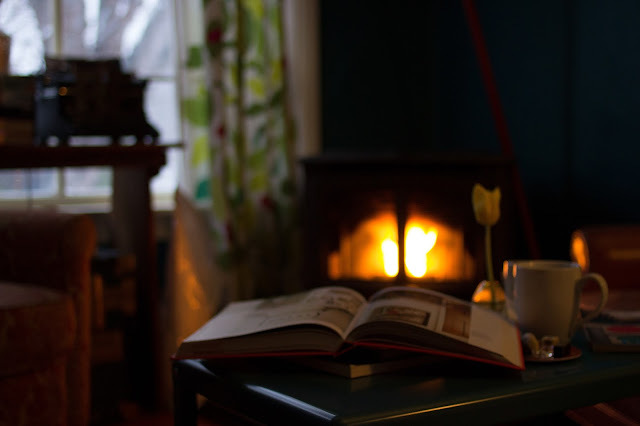 On that bookish note, I'm wishing you a cozy rest of the day. Susan, I keep peering out my front door in case the mailman has brought my copy of SB's Fairy Tale Girl. Can't wait ... it's like Christmas! There are some wonderful reviews on amazon and goodreads for it ... that's awesome! Bluster outside. Books inside. A perfect combination. This is a wonderful post, Brenda. Some of these books I've read, some I haven't. They are all worth re-reading! I love the way you included the opening lines for each book. The words draw the reader into another world. I hear you might have SNOW this weekend. Stay cozy, cozy. Woke up wondering if I'd see the white stuff on the ground. Whew ... no sign of it yet, although it's down near freezing today and the skies look either angry or disgusted, I'm not sure which. We're going to stay cozy indeed ... I promised a hot bowl of soup to my hubby for lunch, so I best skadaddle into the kitchen and make it happen. Wishing you a lovely day in your world, Lorrie! I have just found your blog, a link from Five on Friday from Love Made My Home. What a lovely blog it looks, and it strikes a chord with me because you live in Alberta - my dearest friend lives in Edmonton and she will be visiting me on the 16th, the first time in many, many years. She tells me of the very hot summers and your cold, cold winters and it is then I am thankful that I live in the UK with what is, comparatively, a much less-extreme climate. That is a lovely selection of autumn reading. I would also add (Sir) Roy Strong's book, A Country Life. While this isn't 'just' about autumn, there is a lovely 'autumn' section. The first line is, "Autumn is the orchard. Apple trees epitomizing centuries of cultivation, will if we are lucky be bend down with fruit ..."
Now is the season to get out the soft woollen throws, change the white porcelain ornaments and cut glass for wood and copper lustre and brightly coloured pottery; time to make delicious soups and stews; and to enjoy curling up with a book by the fireside. Margaret, How lovely to find your newsy comment here today. Thank you for visiting. You mention your friend lives in Edmonton -- not so far from where I live. We did have hot weather and yesterday the cold winds blew in ... so far no snow, but they are saying maybe. A good day for puttering inside making something hot for lunch and then do some reading. Thanks so much for your own recommendation by Sir Roy Strong ... I'll be in search of that book as it sounds a lovely read. what a lovely post! it makes me look forward to Autumn... even though i love spring! Jandi, thanks for stopping by again. I'm so glad you did. I look forwarding to getting to know you more! How amazing to too chose 5 books. I loved all the Anne books but hadn't read that one I shall have to get it now! What a beautiful and inspiring post, Brenda! The books you have chosen look all really charming. Thank you for sharing and have a beautiful and cosy autumn weekend! How lovely to have such comprehensive book reviews. I am going to look for the Essential Ingredients book, it sounds just my sort of reading. Now, here is a terrible confession. I have never read Anne of Green Gables. I wonder why? Maybe it is more of an American book? Oh, thank you for stopping by. I'm glad you enjoyed the book list -- I'm pretty certain you will enjoy Essential Ingredients, I just can't imagine you not! I'd love to know your response once you do read it. About Anne of Green Gables and her creator ... L.M. Montgomery was a Canadian author -- I'm proud to say. The first Anne novel was published in 1908. All the Anne books (there are 8) are situated on Prince Edward Island, the beautiful island just off the east coast of Canada. I've never been there, but from photos, it'd be a lovely spot to visit. I've read L.M.M. 's now-published journals and enjoyed catching a glimpse of the author herself. She was born and grew up on PEI and loved where she lived, which is probably why most of her stories take place on the Island. LMM is one of my own personal 'mentors' ... it was her writings that sparked my own writing dream many years ago. Wishing you a great day, B! I'm always on the lookout for a good read - thanks for these suggestions! Wishing you a cozy day too! Thanks for this great list of cozy book recommendations :) ! There is nothing I enjoy more than fall reading. I want books that I can snuggle up by the fire with and I have added quite a few of these to my TBR list. I recently finished a fantastic book by author Scott Wilbanks entitled "The Lemoncholy Life of Annie Aster" (http://www.scottbwilbanks.com/) . Annie finds a mysterious mailbox in her backyard that contains a letter addressed to her from a schoolmarm in the 1800s. Annie lives in modern day San Francisco and yet seems to have a direct connection to 19th century Kansas through the backdoor of her house! This book has mystery, time travel, romance, and truly lovable characters. It should definitely be added to your must read list this fall! Deborah, Thanks for your own reading recommendation ... it sounds a lovely read. I'll be on the lookout for it. Chel, If Autumn is your season, then you will really enjoy Susan's Autumn book. I'm not altogether sure, but I think there is a shop or two in the UK that sells SB products (I see people chatting on her blog). I wish you speedy recovery ... be well, be safe every step. Brenda, thank you for this list. Of course, the Anne books are among my all-time favorites, and I often re-read them when I'm wanting to escape to a familiar, well-loved place. I will check out your last recommendation. Sounds lovely. I am currently reading through the Miss Read Fairacre and Thrush Green series -- a lovely, peaceful escape, too. Nothing better on a cold and blustery day than a pot of tea and a favorite book! Deborah, I've been looking for the Miss Read books; our local library is a bit scant with the series. I was hoping to find the first in the set, but so far no good. Will have to go online. If you go in search of Essential Ingredients, I'm pretty sure you'll be loving it too. Gladys Taber is one of my all time favorite authors to read and re-read . Your list does look like cozy reading for fall and winter evenings spent indoors by the fire. I find this is the time of year I read cookbooks too. Oh yes, cookbooks are always a great read this time of year too. I almost put something in, but trying to keep the list to the five meant I had to choose. I learned about Gladys Taber through Susan Branch ... otherwise I wouldn't know her at all. I hope one day to find a book of Gladys' -- they seem hard to find, especially here in Alberta Canada. Thanks so much for stopping by, Kathy. My goodness I had forgotten to get out my Susan Branch Autumn book. Thank you for the gentle reminder. Erica Bauermeister lives in Washington state as I do and she has come on more than one occasion to my library. She is lively and fun with a magnificent sparkle to her. I've added the Agatha Christie book to my fall reading list as I have not read it. One other book I love to get out is Jill Barklem's Autumn Story. She, too has one for each season. Are you by chance on Goodreads? Thank you for you lovely post again today. You certainly have a new follower in me. Kathryn, Oh my ... that you get to meet Erica in person. How lovely. She and I e-chatted briefly when I first read her book, I had to tell her how much I loved the Essential Ingredients novel. Thanks for the Jill Barklem story recommendation. I'm off to look for that at the library. I'm on GoodReads but barely ... I registered some time ago but never had the time to do anything there. But I hope to be more active in the coming months. Thanks so much, Kathryn ... appreciate your being here. We're going to have fun, I can tell! I've never read this Anne book so will have to find a copy. 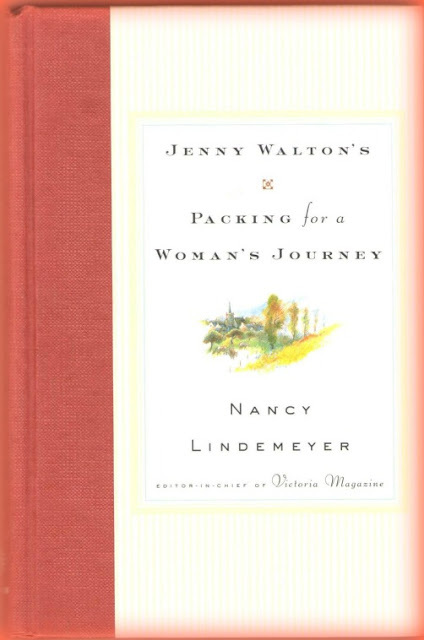 One of my favourite books is Jenny Walton's Packing For A Woman's Journey. Excellent stories! Ahh, Victoria magazine published some beautiful books and I have many of them including this one. Have a cozy, reading weekend! 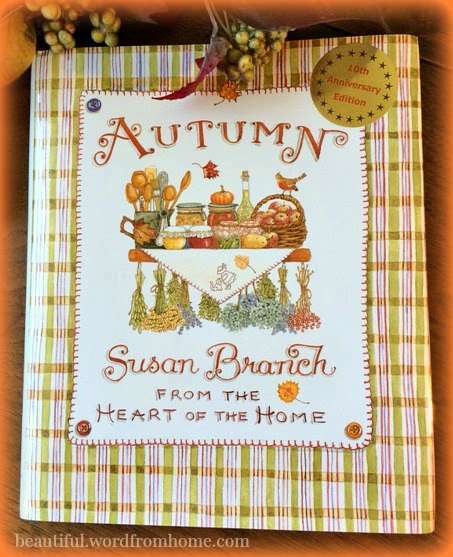 Of course, an Autumn favorite for me is Susan Branch's Autumn book. Now I am able to add The Fairy Tale Girl to my reading list! I really need to check into the other books you have listed. I like to read books that fit the seasons too ;) I haven't read any of these books except the "Anne" book. I will be on the lookout for the rest of them as you make them sound so good! The last book in particular has me curious. Thanks for sharing your list of favourites. btw L.L. Montgomery lived in a town just north of me here in Ontario for most of her adult life. Her old house (the manse for the church where her husband was pastor) is apparently now a museum. I had planned to go there in the summer, but it never happened ... yet! I have only the one book you listed and that of course is Anne of Windy Poplars. I have all the Anne books. I do have a habit of reading books over and over again too. I always seem to glean something new by doing that. I would have to agree with Nancy Lindemeyer's son and his favourite season being Spring. I feel the same way. I think perhaps if we lived down south I might feel differently but as Hubby and I get to be more vintage ;), we mind the cold and especially the winters more. Thank you for your visit and I'm so glad you enjoyed my story! Enjoy this new week ahead. Your post was so well written, Brenda. I enjoyed it very much. I believe At Bertram's Hotel is my favorite Marple book. 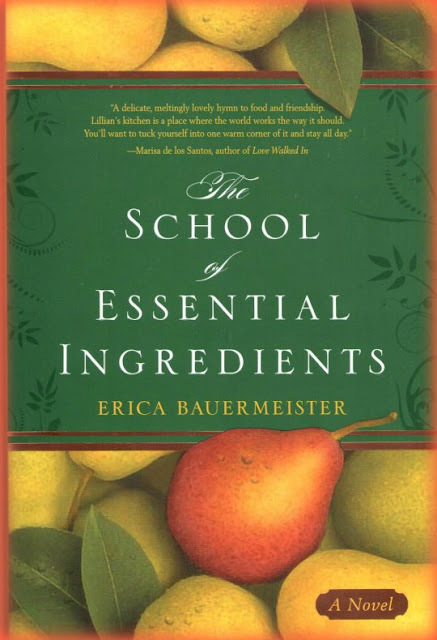 And when I finished reading the School of Essential Ingredients I started all over again too, I think the only book where I've ever done that. I still pull it down when I feel stagnant, with cooking or life. I noticed Deborah mention the Miss Read books and they are always comfort books for me, as well as D. E. Stevenson books. One novel I read every few autumn seasons is Wallace Stegner's Crossing to Safety. And of course I'm always pulling a Taber book down too! Lovely picture you opened with, perfect for your post! Thank you for your book recommendations, Brenda. 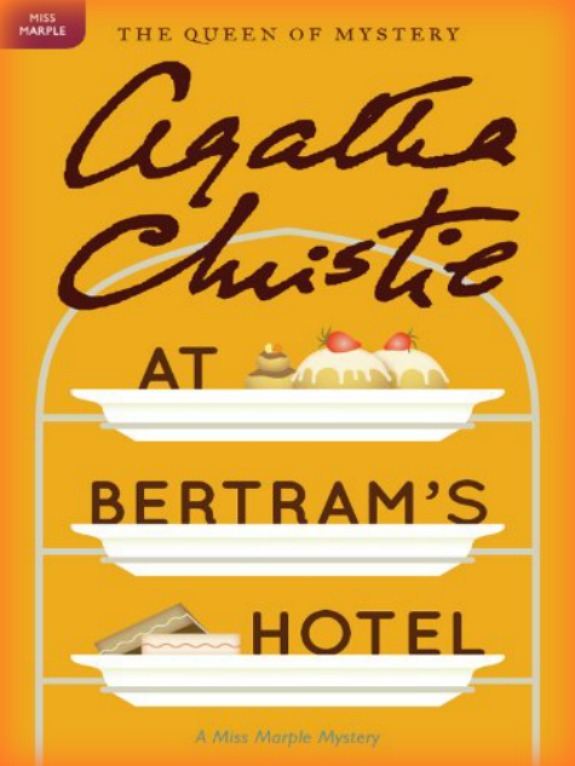 I love Agatha Christie but haven't read 'At Bertram' s Hotel' so I'll be looking out for that. I'm not a fan of the colder seasons but I do appreciate the beautiful things about Autumn and would love to have a look at that Autumn book. It looks very sweet and inviting, perfect cosy reading. Thanks too for stopping by my blog. It's always lovely to have new readers (I don't get many! :- ) so a big thank you from me. Have a great week! Dear Brenda your fall reads sound wonderful especially The School of Essential Ingredients. Definitely going on my list of books to order from the library. Thank you sweet friend for your recommendations. Hugs! I love book recommendations! I've already read three of these and loved them so I know we're on the same page (sorry) and will look for the other two. I haven't read the Nancy Lindemeyer or the Erica Bauermeister. I will see if I can find them. I'm pleased to see one of Dame Agatha's in there!